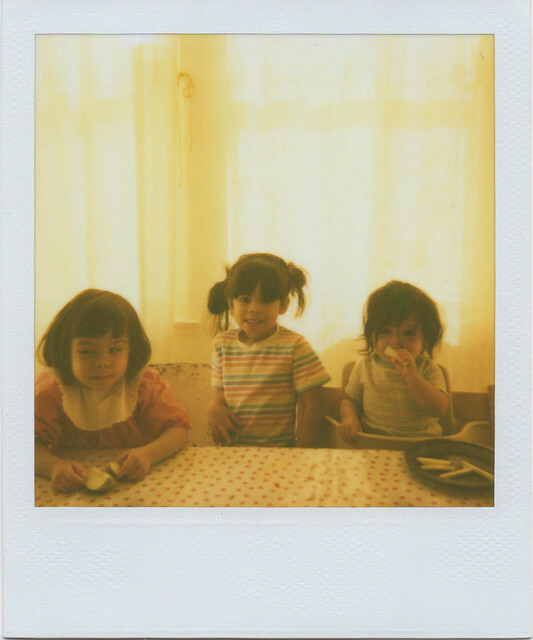 I love these Polaroid shots! I need one of those cameras. I got one for my 10th birthday (almost 27 years ago), then took it on a family trip. Airlines lost the suitcase and I have never gotten another! So sad! love soul's messy baby hair! I can hear Brave in about 10 years saying, "Ah Mom... what was that face I was making?!!!" Love this photo... you will especially love it when they're big and will miss those days (I do!!!). Thought I would give your blog an award. Not that it needs it, because your blog is way worth giving an award already, but I thought it would be special from me to you. Check it out at my blog!